in the vehicle. The Keyless Entry System allows you to lock and un-lock the vehicle when the key is nearby. For security reasons this is limited to 1m. Keyless Start is only possible when the key is in the vehicle. 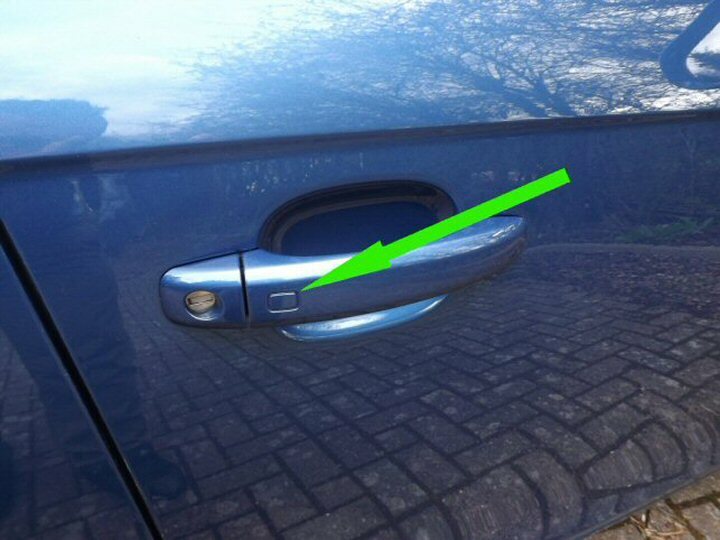 There is a touch sensor within the door handles which is used to lock and un-lock the vehicle. The vehicle will unlock automatically when your rest your hand on the inner part of the handle. or Keyless Start Stop Engine Button and Keyless Entry System. Please select option required below. Installation usually takes 9-10 hours so we'll need the vehicle brought to us for this service. refurbished (like new) and come with a 2 year warranty. Please select specific options below. Note: Only a single smart key is included in this package, for an additional smart key please add this option below. * All Genuine Audi Parts with 2 year warranty. * Excellent system to add to your vehicle. Above: Start Stop Engine Button in Chrome. 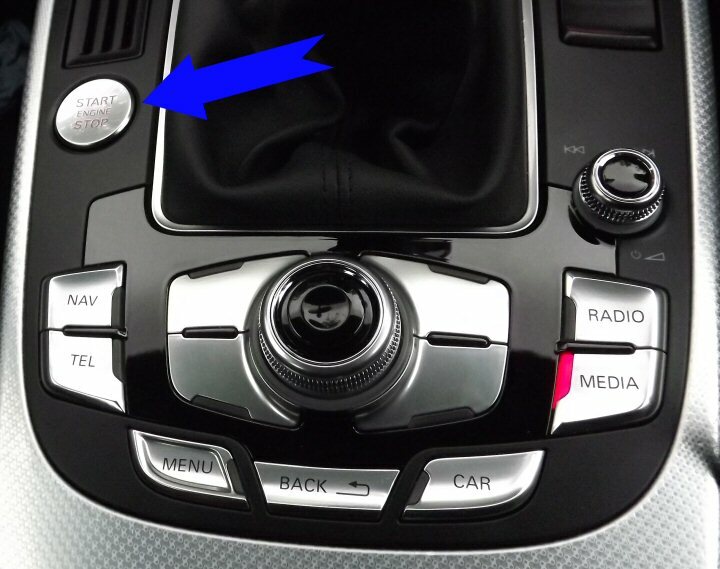 Above: MMI Control Buttons with new Start Stop Engine Button. (Models with MMi 3G Plus). 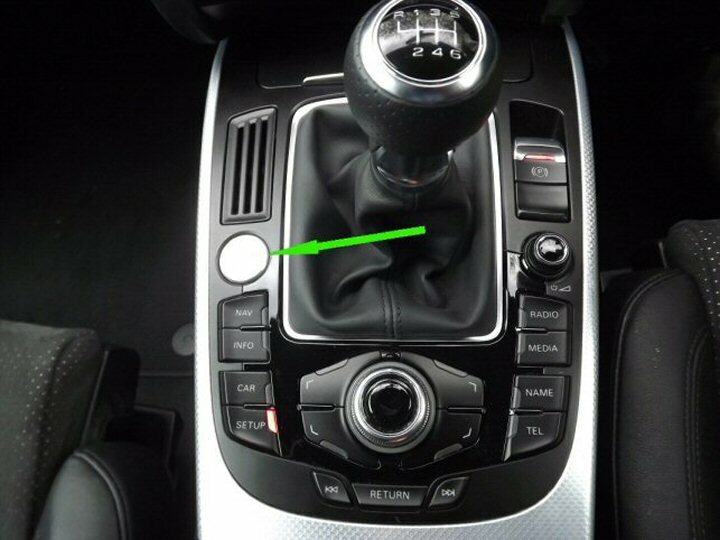 Above: MMI Control Buttons with new Start Stop Engine Button. (Models with MMi 3G High). Above: Door handle with touch sensor to open and lock vehicle. Please select how many doors for Keyless Entry. All Doors & Boot require Keyless Entry (4 Doors). Drivers & Front passenger (2 Doors). Drivers door with keyless entry (1 Door). I only require Keyless Start Stop Engine button.